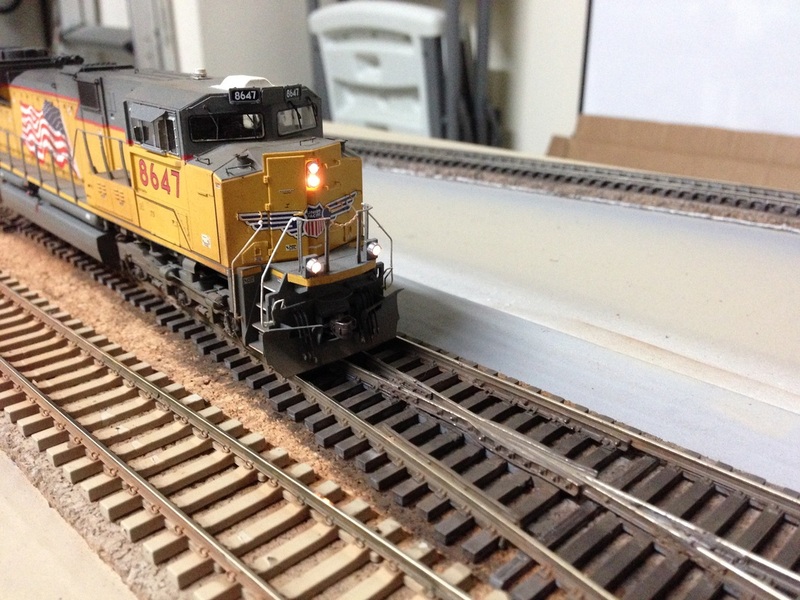 After the track was installed and tested, it was time to paint the track. I used Pelle Soeeborg's method which looks amazing, albeit a bit time consuming! 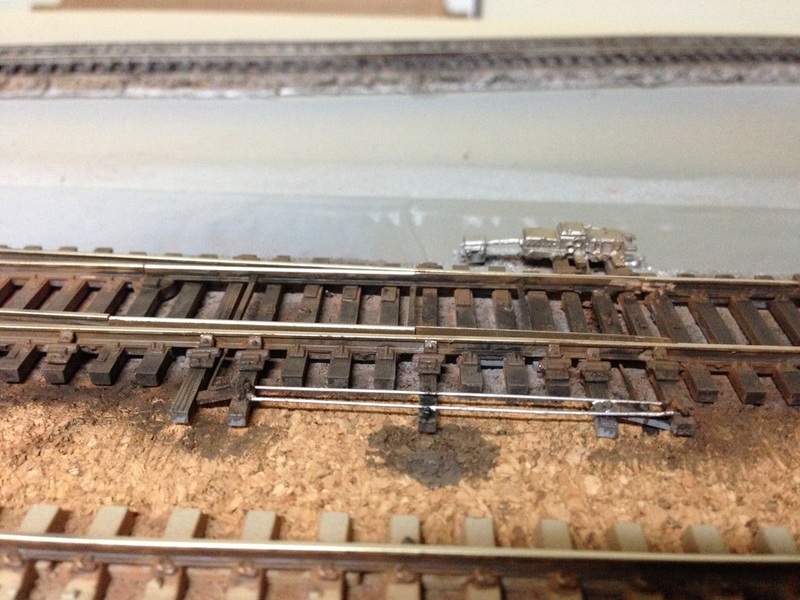 All the wood tie track was painted in a light gray primer while the concrete track received a coat of dirty concrete. After the paint had dried completely, I gave the wood ties a wash of brown paint. 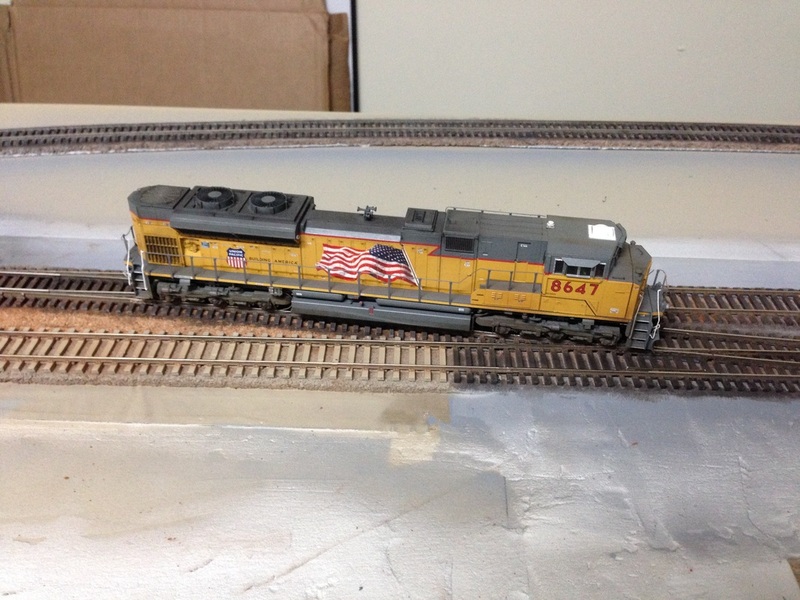 Next, I painted the rails a grimy brown color. 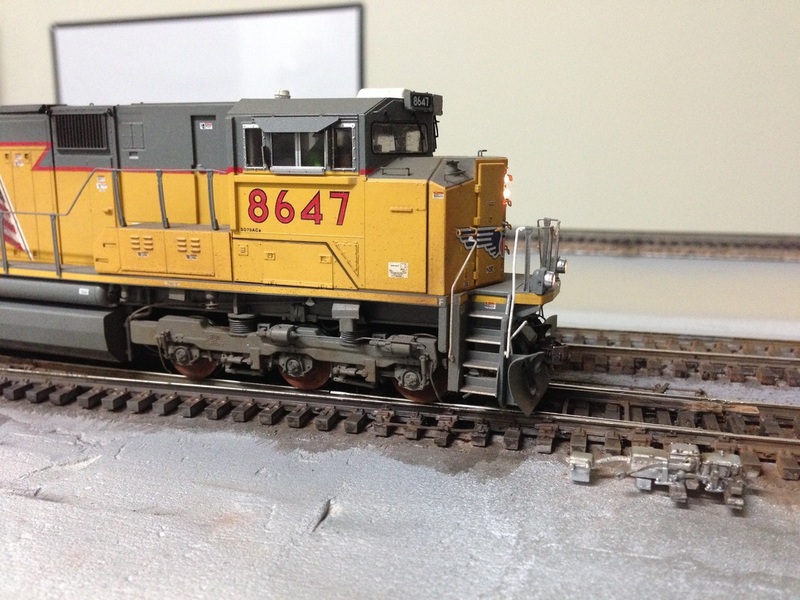 Finally, powedered weathering chalks were used to create dirt streaks along the rails and highlight metal components on the turnouts. 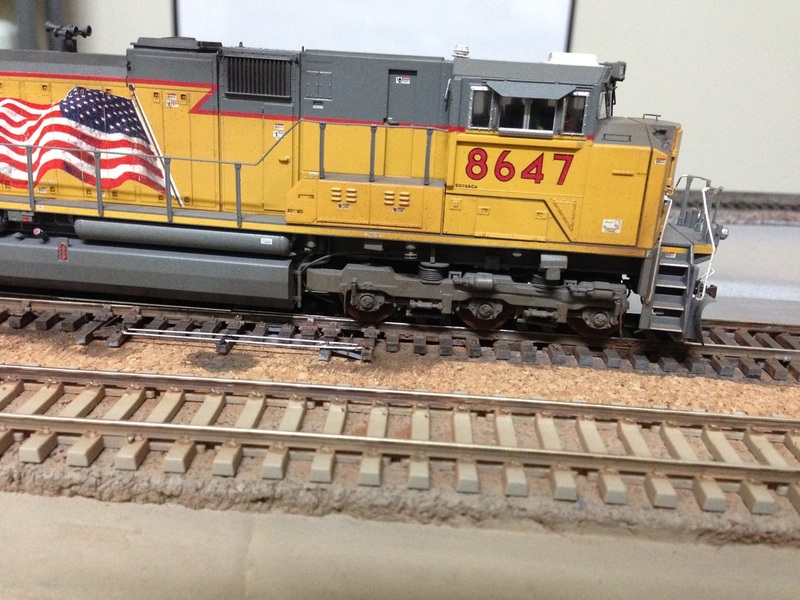 The points of the turnouts were painted white to match the prototype and then weathered. After the painting process, remove the paint from the rail head with a sharp chisel or your fingernail being careful not to scratch the rail.